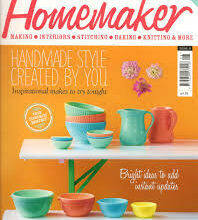 There’s an article about Clare in this months Homemaker Magazine. They’ve asked Clare lots of questions about her designs, her inspirations and her plans for the future. You’ll also find a ‘How to’ project which you can have a go at. 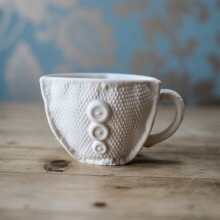 It takes Clare’s textile inspired techniques and brings them to a project that you’ll find easy to do at home. Give it a go! See the Clare Gage plate featured in Your Home Magazine this month. Today my article has been published in the Derbyshire Times. I wrote about how a creative culture can help boost a town. It’s great to be involved in the creative community in Chesterfield and I can see how much it benefits the town. Check out the new issue of Period Living magazine. There is an interview with me for their Behind the Craft article. Thanks Period Living!